Thanks Jean. I’m glad you enjoyed them! Hi Susan! I buy the coconut chips for the granola at Costco. It’s a large bag (800g) of organic toasted coconut slices. The brand is Elan. I use this coconut all the time – for baking and snacking! Be sure to let me know if you make the muffins! Blackberries are gorgeous is backed goods! I think so too! Thanks Patrick! Thanks Haylie! I feel the same way about lemon! It’s so fresh and always reminds me of spring! I love overnight oats in any form — they really have such a great texture! 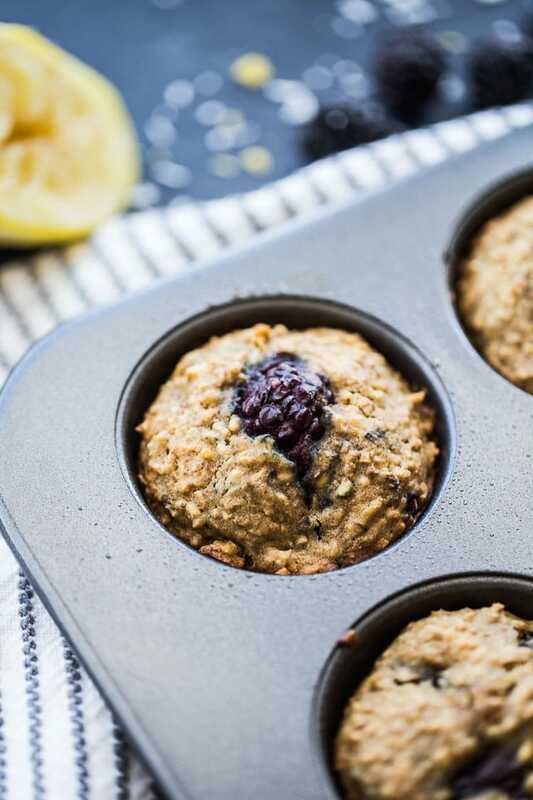 Using them in muffin batter is brilliant, and I love the blackberry lemon combo. Blackberries are so underrated, and I have no idea why! That is so true. Of all the berries, blackberries don’t get as much attention as they deserve! Thanks Marcie! I’m not a meal prepper but I could become one for these :). 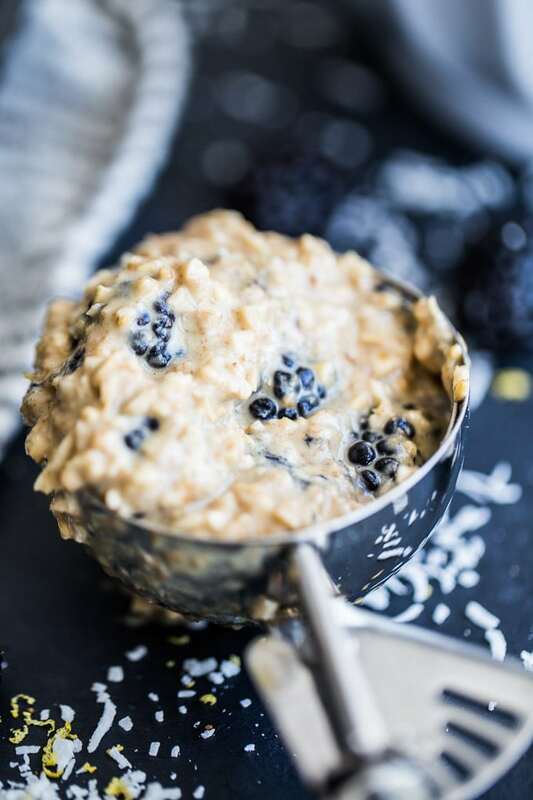 Overnight oats are one of my favorites breakfasts so I can imagine how good these are! Have a great week, Leanne! Thanks Kelsie! I think you’ll like these! Hope you’re having a great week too! Ooooh – the perfect breakfast!! So happy you brought it back!! Thanks so much Katherine! Blackberries and lemon truly are a great pair! Hope you get a chance to make them! 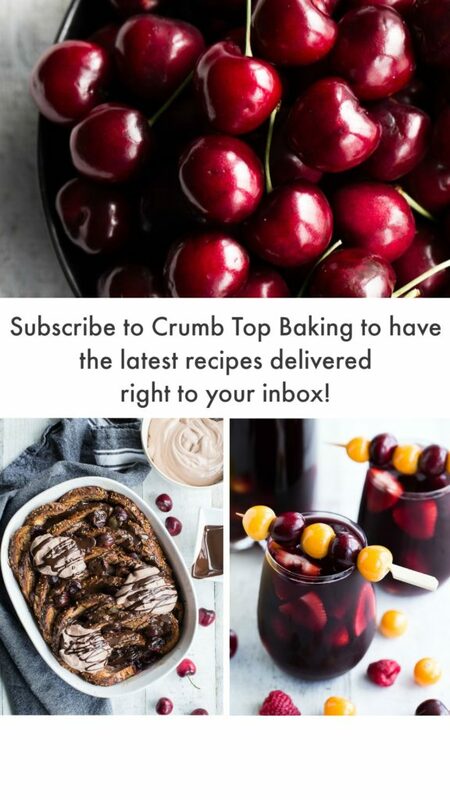 If you like the cranberry muffins, you’ll definitely like these! They do pair wonderfully with a cup of coffee! Thanks Dawn! These look just delicious Leanne! Such a great little treat with my morning coffee. In my opinion, blackberries don’t get enough attention. Can’t wait to bake a batch! Thanks Mary Ann! And I agree. Blackberries definitely need more attention! Man I need to get baking, these are a perfect way to start the day and I love lemon and blueberries together. Thanks Kristen! 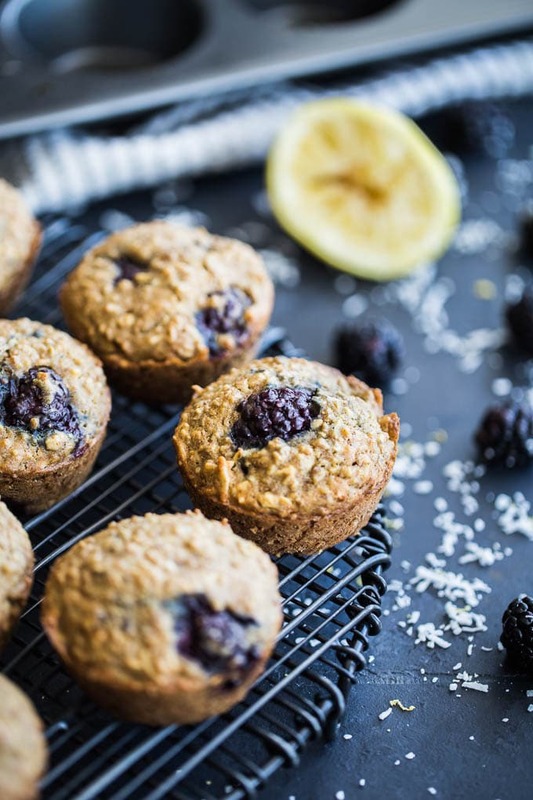 These have blackberries in them, but blueberries would pair beautifully with lemon too! I would so love to start my mornings with these muffins Leanne! Love the blackberries in them! Thanks Marisa! I always enjoy these for busy mornings! Thanks Krista! Please do. 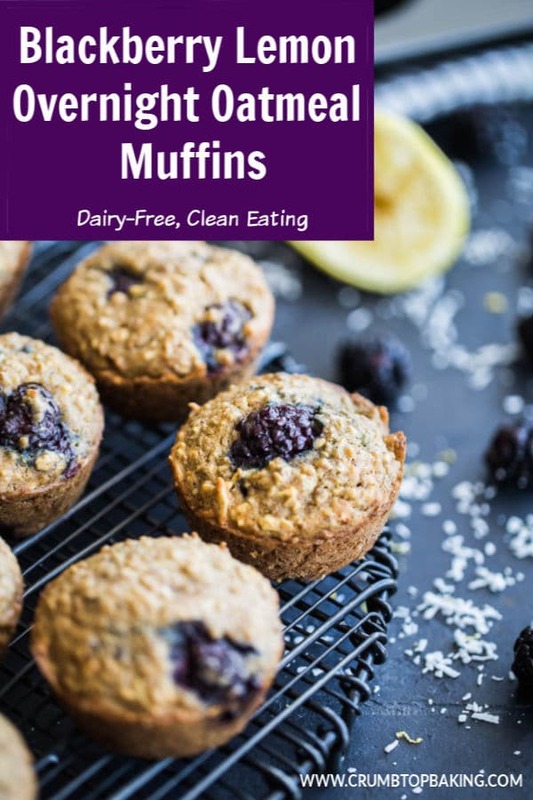 I haven’t tried this exact muffin recipe with gluten-free flour alternatives, so I would love to know your thoughts! Confession – I’m the one person in the world who doesn’t like over night oats (something about the texture)! However, I LOVE baked oatmeal and muffins (go figure!) And these muffins look like my breakfast dream come true! Pinning for this weekend when I meal prep! Thanks so much Kylie! Soaking the oats helps create a soft muffin texture. Hope you like these as much as we do! I love the flavors of lemon and blackberry. This sounds like such a great brunch recipe! Pinning for later! Thanks Lori! Yes, a basket of these muffins on a brunch table would be great! Yay blackberries! What a great surprise especially with the lemon! Delicious. 🙂 Take care. Never would think to use overnight oats into muffins! These would be great to make over the weekend and then have as a quick grab and go breakfast during the week! Thanks Heather! That’s exactly how I like them. Make a batch on Sunday to enjoy the rest of the week! These are just lovely! I have never used oatmeal in muffins but I am so willing to try after seeing these beauties. Great breakfast! Thanks Nicoletta! Appreciate it. Hope you get a chance to try them! These look beautiful! How I love that lemon/berry combo in baked goods . Thanks Kim! Totally agree. Lemon goes perfectly with so many different berries! I love my overnight oatmeal. Never thought of making the overnight muffins though. This is simply Genius! I have to try these, especially since they can be easily veganized! Thank you for such a great idea and the recipe! Thanks Nat! I hope you get a chance to try them. 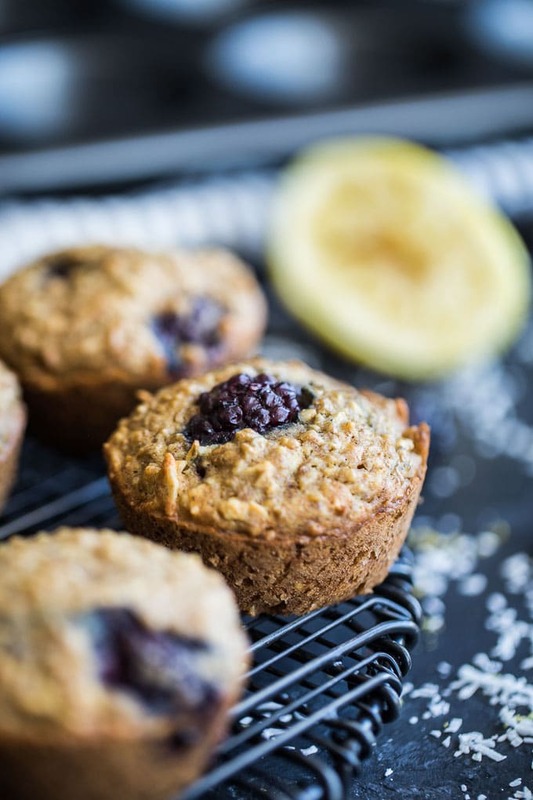 They’re my go-to muffin, and so easy to customize by adding different berries! 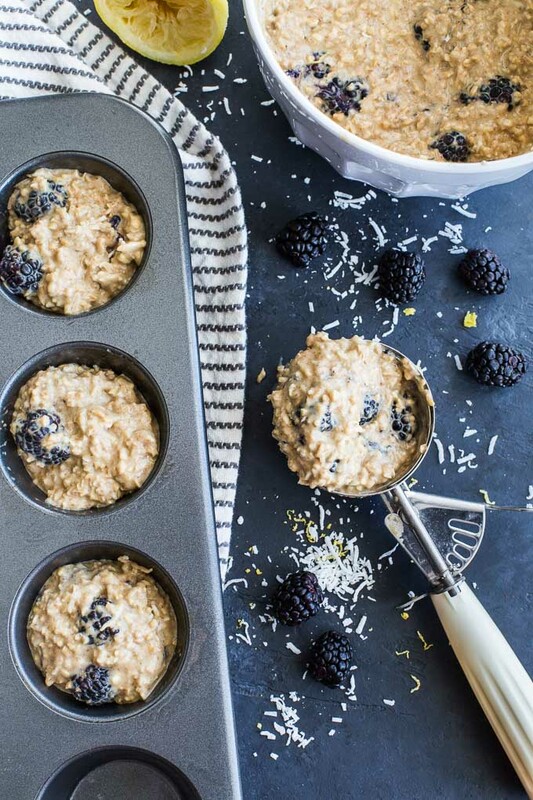 What a terrific idea to do a muffin version of overnight oatmeal! I love oats, fruit and citrus together so these look totally mouthwatering to me! Love that they’re portable too! These muffins look so wonderful. I love oatmeal, and I have wild blackberries that grow in my back yard in summer – so I’m going to hang onto this! Thanks Jeff! I would love to have blackberries growing in my backyard! Hope you enjoy these muffins as much as we do! These worked perfectly last sunday when I had to run around taking kids to sporting practices and games. Thanks for sharing this delicious, simple, and on-the-go recipe. Thanks Jacquelyn! I love hearing that. So glad they worked out for you! Move over blueberries! I need to make muffins with blackberries! These look so delicious, Leanne! Pinning. Can’t wait to try. Thanks so much Colleen! Hope you like them! I’m a on massive muffin kick right now and am on a roll with making a different batch each time, using different fruits and such. These are definitely going on my list! So in love with the pairing of blackberry and lemon! Thank you Dana! The blackberry lemon combo is a favourite of mine. We love muffins in our house, and I’m with you, I like changing up the add ins to make different muffins! I’m yet to try overnight oats – it’s only the fact that I like a warm breakfast that holds me back. I can definitely see me eating these muffins for breakfast. Oats and berries are a favourite of mine and a great bonus with these muffins is portability too. I hear ya Marie. Sometimes I warm up my overnight oats in the microwave to get a warm bowl of oats! And yes, the portability of muffins is the reason I love them. So great for a grab and go breakfast! 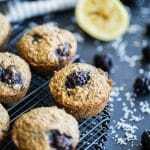 I had never heard of overnight oat muffins – great idea! And Leanne, these photos are stunning- excellent update on this post! Thanks Pearl! Lemon goes perfectly with so many berries! My family would love these oatmeal muffins! 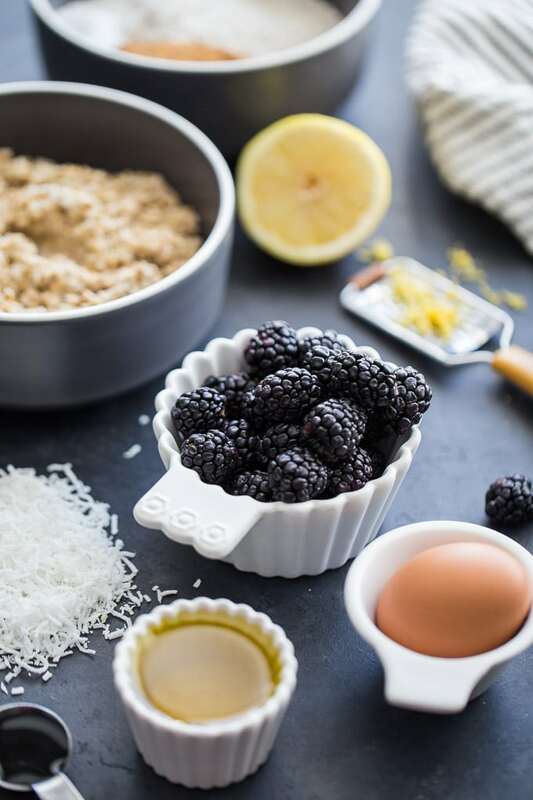 The blackberry and lemon work so well together, perfect Springtime recipe. This is my kind of recipe!! I think I’ll use almond milk instead of regular milk but I’m loving the ingredients in here! Loving the blackberry and lemon!!! I’m so making these!! It’s like dessert for breakfast! I love everything about these and how simple they are to make.